It’s another exciting week on The National Defense as we welcome esteemed actor and founder of the Tribeca Film Festival, Robert De Niro, to the show! Mr. De Niro speaks about his career, the 17th year of his famous film festival, and gives a special greeting to all our active duty military members serving around the world. 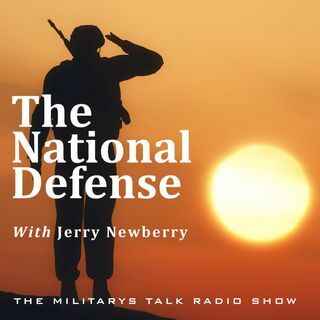 Randy and Jerry also talk with Melissa Comeau, Director at the American Red Cross’ Military Veteran Caregiver Network. Melissa is a caregiver to a veteran as well and ... Maggiori informazioni speaks about the daily challenges that go into being a caregiver for the wounded, ill, and injured. That’s all this week on The National Defense!